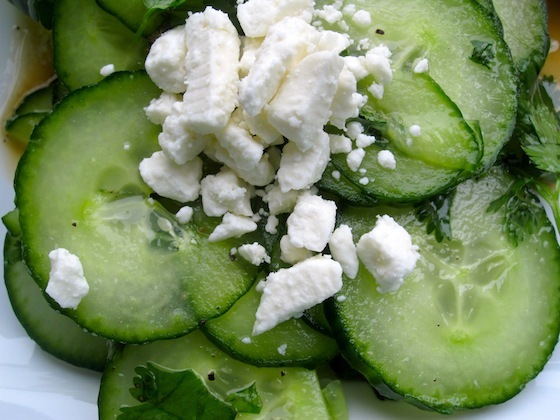 This Cucumber and Feta Salad with lime and cilantro vinaigrette is such a simple combination, yet so fresh and delicious. The perfect summer recipe! In a small bowl combine the cilantro, lime, vinegar, salt and pepper. Mix well and pour over the sliced cucumbers. Sprinkle the feta cheese on top and serve. 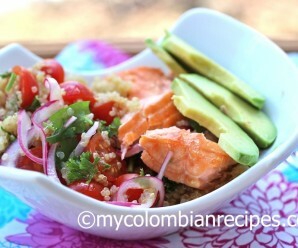 Mmmm…so simple, fresh and perfect for summer! 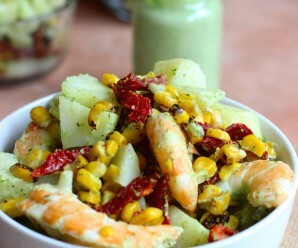 Such a simple and refreshing summer salad, Erica! My recipe has sour cream in it, but I’d love to try this. 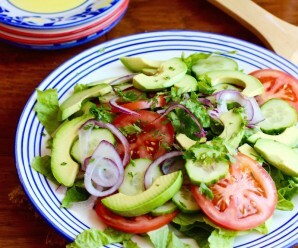 Healthy, delicious and greeny, any more on this salad? Wow! This is simplicity itself yet seems quite creative, too. It kind of reminds me of the Tex-Mex pico de gallo, with cucumber instead of tomato. This is something that I’d love. What a wonderful and refreshing salad! My dog’s name is Pepino (short for Giuseppe in Italian) but I also love that it means cucumber – because he is long and skinny! 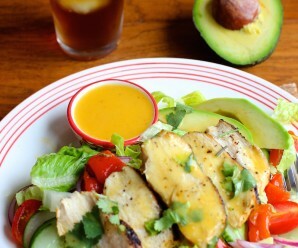 Yep…simple, refreshing and I like the dressing. Me encanta tu receta! The salty and creamy addition from the feta sounds mouthwatering. Thanks for sharing.